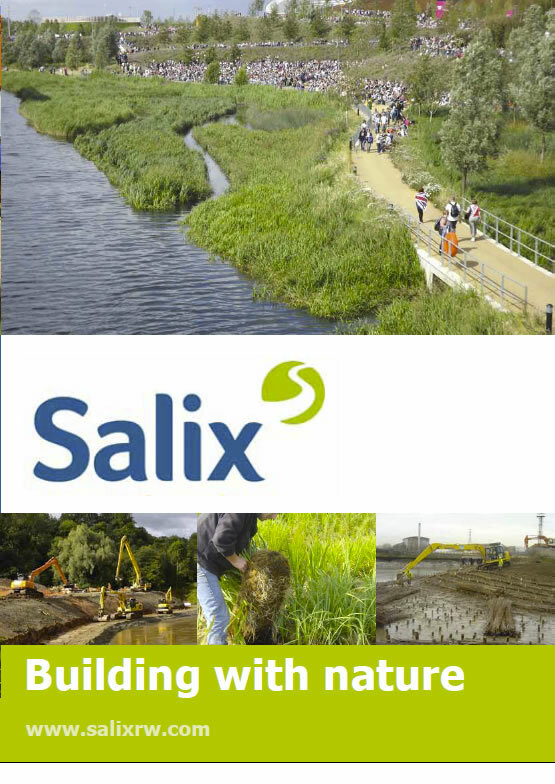 Salix produce a wide range of pre-established Coir Pallets planted with high quality native plant species. Coir Pallets are composed from coir fibre which is a sustainable waste product from the husk of the coconut shell. We plant our pallets at a high density and grow on at the nursery to ensure that the vegetation is a dense and hardy cover. Mature Coir Pallets are often used on water vole habitat creation projects where mature vegetation needs to be established rapidly. Coir Pallets are available unplanted or pre-established with mature native wetland plants. Standard plant mixes are available from stock all year round or specialist mixes can be contract grown to order. Coir Pallets can be an excellent technique for establishing native marginal vegetation around lake edges, streams and rivers banks. We grow various native plant mixes and monocultures to suit most aquatic environments and can contract grow specific mixes and from local provenance seed if required. A report, written by Rowenna Baker of Brighton University, concluded that areas with pre-established Coir Pallets provided excellent and immediate cover for Water Voles at our Medmerry Project.